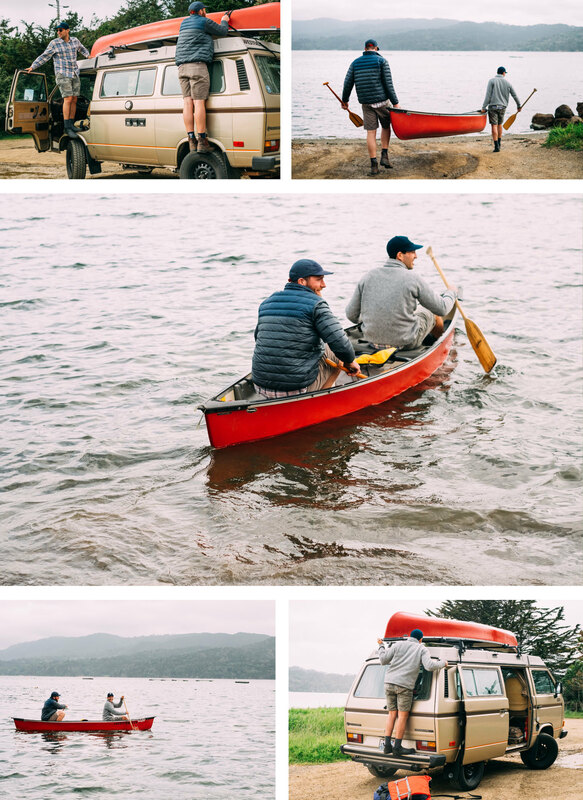 We’d driven all the way from Seattle with the Canoe on top of our van and we couldn’t miss the opportunity to get it out on the water. 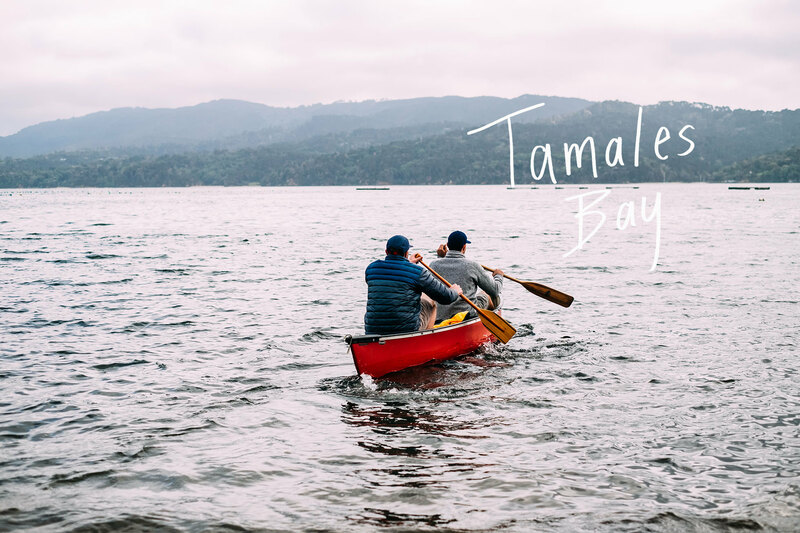 We pulled off the road at a small beach and launched the canoe for a smooth paddle in Tomales Bay. Looking over our shoulders, Goldie looked a bit naked without the boat strapped to the roof. By this point, we were only ninety minutes from San Francisco, but we still felt so removed from city life. The past few days of driving had flown by and we felt like we had to take a minute to prepare ourselves for the hustle and bustle of the city. We beached the canoe outside Hog Island Oysters right as they were closing up shop. 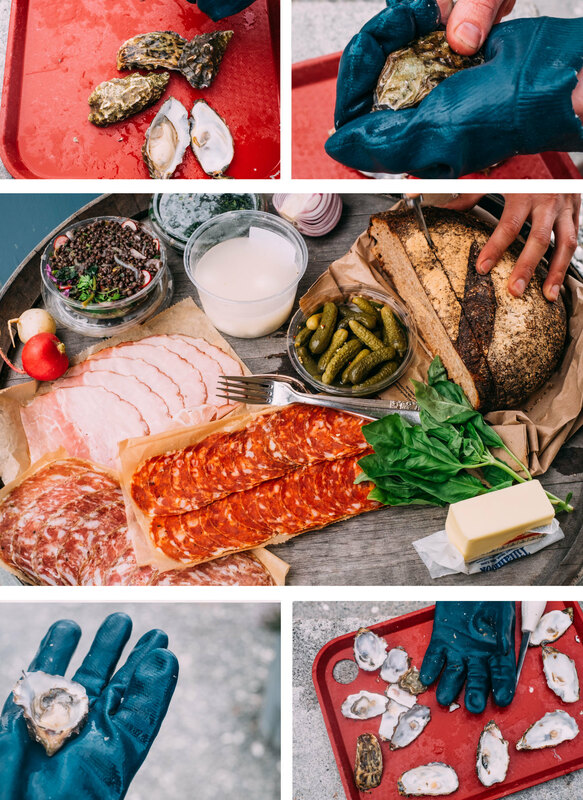 We traded charcuterie from our stop at the SHED in Healdsburg for some oysters and a shucking knife and enjoyed a parking lot picnic as their crew was shutting down for the evening. We had cornichons, finocchiona salami, crusty bread and olive oil, cheese from the creamery up the street – hard to beat the road trip picnic when you’re surrounded with artisan producers on all sides.